Our new Juggernaut wide mouth growler represents the evolution of beverage technology. Our sleek, modern design uses vacuum insulated, double walled stainless steel construction that is durable and highly effective. We designed this beast for beer lovers anywhere, but it works great as a water bottle or with any other beverage. 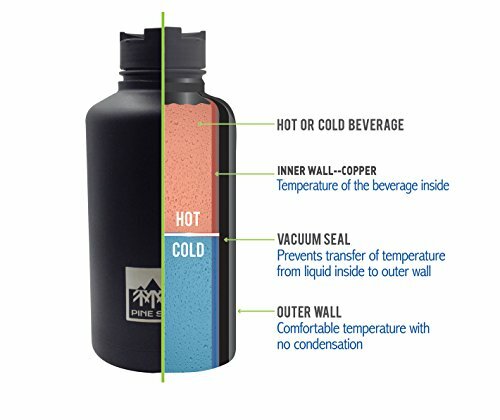 This bottle will keep beer, water, iced tea or iced coffee cold for 24 hours. If you need your drinks hot, the Juggernaut has you covered for 12 hours. Our growler comes with a bonus lid and carry handle! 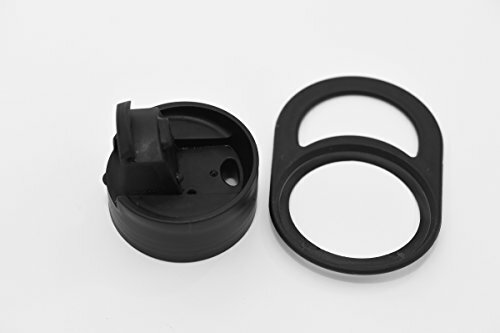 : Included in the package are one carry handle lid and one flip top, easy-pour lid. 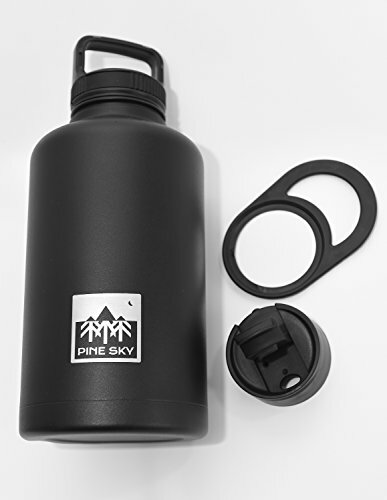 Plus, we're including a jug carry handle to make transporting the bottle super easy when using the flip cap. Double-walled, vacuum insulation ensures that your drinks will stay at optimum temperatures.Large, 64 oz capacity give you enough for the whole day. Great for teams, get togethers with friends, BBQ's and camp outs. Lifetime guarantee - we want you to be 100% satisfied with the Juggernaut, so we guarantee it for life. Charge with ice to maximize cold retention: pre-chilling the bottle with ice will improve the insulating performance, and can extend the cooling capacity beyond 24 hours. Simply fill the bottle with ice water, and let sit for about 15 minutes. Then, remove the ice water and immediately fill your growler with the beverage of your choice. Use hot water to charge before filling with coffee, tea, or other hot beverage. Wash lids thoroughly after use. Small dings and dents will not impair the insulating performance. Growler is compatible with Hydro Flask style lids. PREMIUM PACKAGE INCLUDES 2 LIDS - the wide-mouth Juggernaut comes with a convenient carry handle lid, as well as a flip-top cap. Also, for a limited time, we're including a bonus carry handle for no extra charge! DOUBLE WALL STAINLESS STEEL - our flask is made of burly, durable, food-grade stainless that is meant to take a beating and last a lifetime. Perfect for the summer backyard BBQ, party, boat, workshop, patio, and camping. Eco-friendly! KEEP COLD LIQUIDS COLD FOR 24 HOURS! - superior vacuum insulation technology means the Juggernaut acts just like a thermos. Cold liquids stay cold, and hot liquids remain steamy for 12 hours! CONDENSATION-FREE - your beverages will not sweat, guaranteed! No dripping, no leaking, no mess. 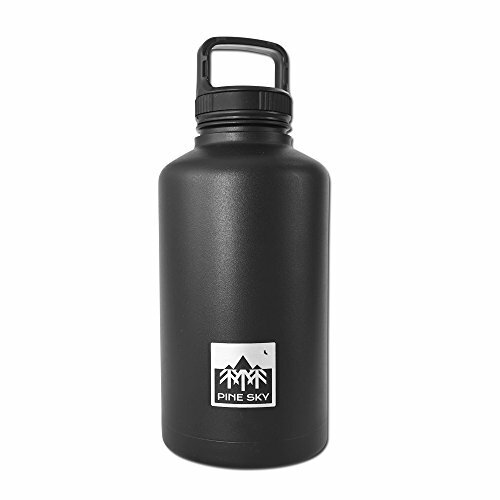 ADVENTURE READY - Large 64 ounce capacity ensures you'll have enough to drink all day out on the boat, camping, the office or just kickin' it on the patio.